All ages benefit from chiropractic care. The late Larry Webster, D.C., developed a chiropractic technique that releases stress on the pregnant woman’s pelvis, relaxing the uterus and surrounding ligaments and permitting the baby to turn naturally. 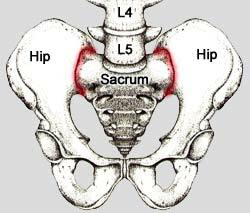 Subluxation where the sacrum joins the pelvis can cause uterine constraint, preventing the baby from assuming the optimal birth position. Sacral subluxation causes the tightening and twisting of pelvic muscles and ligaments, constraining the uterus. These tense muscles and ligaments prevent the baby from comfortably assuming the vertex position. The Webster Technique reduces interference to the nervous system, improves pelvic balance and allows the baby to assume the optimal position for birth. Because the Webster Technique relies on the inborn intelligence of the mother and baby, there is little risk. Correcting pelvic imbalances and reducing tension in the uterus gives the baby the room it needs to turn. “If you, or someone you love, is facing a breech birth, urge them to consult our office for a natural approach,” says Dr. DiRubba.